Leamington Cottage in Barbados is one of the five most romantic places for a villa vacation. Love is in the air and the villa experts at Villas of Distinction®, the world’s premier villa rental company as part of World Travel Holdings, are sharing five of the most romantic villa vacations. 5. 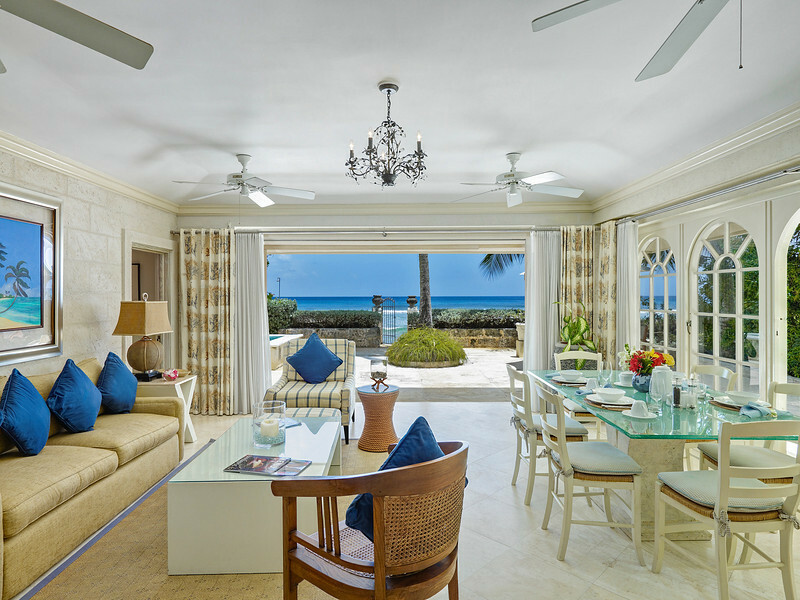 Leamington Cottage in Barbados – Couples can relax, sit back and enjoy each other while a cook prepares their favorite meal for a romantic dinner on the spacious terrace with breathtaking views of the beach and sea, and a housekeeper takes care of the cleaning — what’s more romantic than that? This one-bedroom, one-bath self-contained cottage has its own private entrance and is located on the beachfront in front of a reef, which is ideal for swimming and snorkeling with your sweetie. 3. Bali Hale Cottage in Maui – Covered patios surround this cozy hideaway for the best of outdoor living along with spectacular ocean and mountain views. If passion in a relationship equals adventure … this is the right getaway. Bali Hale Cottage is located near Launiupoko Beach Park, which offers adventures such as whale watching, surfing, snorkeling, kayaking and more. This elegant one bedroom allows guests to enjoy the tranquility of peaceful sunsets while being just minutes away from the action — fine dining, theater, shopping, parasailing, deep sea fishing, scuba diving, championship golf courses, Hawaiian Luaus, and dozens of white sand beaches. 2. The Loft in Tuscany – Italy is considered one of the most romantic destinations and a stay at The Loft, a completely renovated apartment just a few steps from Piazza Santa Croce, in the historical center of Florence is the perfect setting to fall in love all over again. A couple who enjoys the rural chic feel will relish in The Loft’s features including hardwood floors, high original beamed ceilings and two large luminous windows facing a narrow street, typical of old Florence. The dining area and fully-equipped kitchen with all the modern finishes is the ideal room to create a romantic meal together. 1. Tremoille in Paris – Paris … the city of love, a favorite destination for couples enjoying their honeymoon, renewing their wedding vows, or just wanting to rekindle their love. Tremoille oozes love with its early 19th-century setting, large windows overlooking a quiet courtyard and its contemporary elegance with a beige leather sofa and glass coffee table. Exploring one of the most seductive cities in the world is sure to spice up any relationship. Of course the definition of romance is different for everyone and the villas offered by Villas of Distinction offer something for all types of romantics. To find a villa vacation that fits your relationship, visit www.VillasofDistinction.com or call 1-800-289-0900 to speak to a Villa Specialist who can customize a romantic adventure. Villas of Distinction®, part of World Travel Holdings, is a premier luxury villa provider with an extensive portfolio of thousands of privately-owned villas in more than 50 luxurious destinations. For nearly 25 years, Villas of Distinction and its team of expert concierges have been helping travelers find their perfect vacation home without a membership fee. The company takes pride in offering customized vacations to meet every imaginable need, with most villas featuring private pools, butlers, maids and chefs. www.VillasofDistinction.com. The Mayfair Hotel & Spa Miami celebrates its shared 30th birthday with Miami Vice, which filmed at the hotel, by orchestrating sizzling new packages for Miami Romance Month, featuring a soundtrack based on the 1980s hit songs from the TV show, designed to score the perfect lovers’ getaway. While other programs traditionally used made-for-TV music, the producers of Miami Vice were the first to insist on using original music, spending $10,000 or more per episode to buy the rights to hit songs by contemporary artists. Having a new single played on Miami Vice was a boost to musicians and to record companies, and sparked a groundbreaking new trend. Whether you rocked out to 80s metal mania, bopped to New Wave, or jammed to synth-pop and electro dance, you can soundtrack your own romantic getaway thanks to these packages that hit the high notes from The Mayfair Hotel & Spa Miami, honoring these beloved 80s hits from Miami Vice. For adventurous couples, the hotel offers an adrenaline-rush for those who want to explore new heights together in their relationship. This high-speed thrill features a private plane ride for two, and climaxes in a tandem skydive as the lovers fall through the skies together. The Miami Vices Romance packages start at $1,150- $1,900. Reservations are required for the Miami Vices Romance packages, one week in advance of arrival date. Miami Vice starred Don Johnson and Philip Michael Thomas, and shined the global spotlight on Miami as a hot new destination. The music on the series became a signature hallmark. The Miami Vice theme is the last TV show theme to make it to #1 on the Billboard charts, and several soundtrack albums dominated the airwaves. The show was so popular that major pop stars of the time were clamoring to have their songs included on the episodes. Some of the leading music stars of the day even made guest appearances on the show, including: Sheena Easton, Gene Simmons of Kiss, Robert Palmer, John Taylor and Andy Taylor of Duran Duran, Phil Collins, Bernard Edwards of Chic, El DeBarge and Fiona. Reservations are required for the Miami Vices Romance packages, one week in advance of arrival date. To book the Miami Vices Romance adventure, call the hotel’s “Vice” specialists at 305 441 0000. The Mayfair Hotel & Spa is part of the Schlesinger family’s iconic portfolio of hospitality excellence, including its sister property the Brazilian Court Hotel in Palm Beach. Heralding its 30th anniversary with the completion of more than $10 million in extensive renovations, The Mayfair Hotel & Spa is located in the heart of Miami’s historic “first neighborhood,” The Village of Coconut Grove. The boutique architectural gem is the only Gaudi-inspired hotel in the United States, an artistic masterpiece that blends Art Nouveau, Asian and Old World European inspirations. The dramatic interior atriums teem with elaborate Asian gardens and fountains. Subtropical fantasias cocoon guests inside a private Zen oasis – overflowing with palm trees, orchids, tropical ferns and bamboo, birds and butterflies, monolithic columns and Tiffany stained glass ceilings. Hand-carved by local artists, the Mahogany woodwork and doorways, copper and stone sculptural creations are all one-of-a-kind (the molds were broken after the unveilings). The Mayfair features 179 luxury suites, most with private terraces and Japanese Soaking Tubs (built for two), imported Brazilian doors, marble bathrooms with Roman Spa Baths, stone floors, sea-grass furnishings, hand-carved Mahogany headboards, and opulent details. The indulgent culinary experiences at The Mayfair are helmed by Executive Chef Dario Correa. The Italian trattoria Spartico showcases a stone-faced wood-burning Ambrogi oven imported directly from Milan. 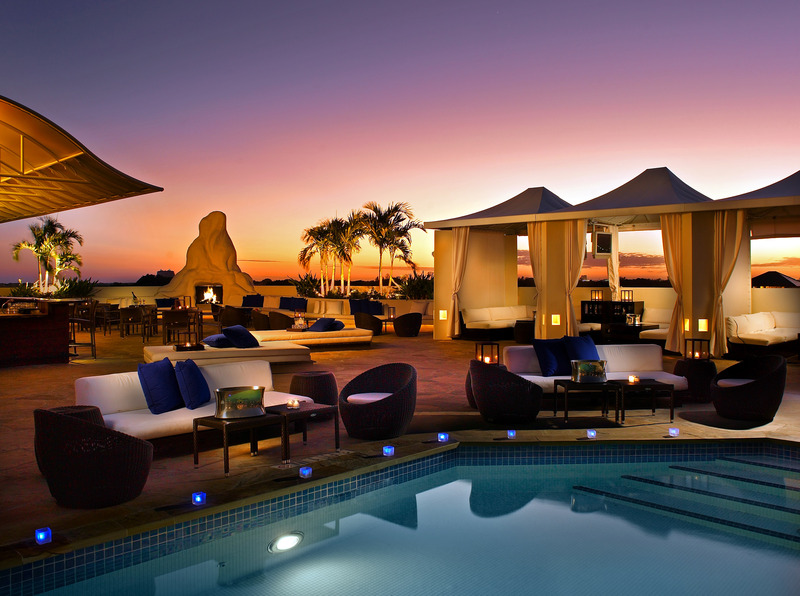 Above the Mayfair surrounds the decadent rooftop pool and cabanas. The hotel boasts one of a handful of Jurlique Australian Spas in America, a 4,500 square-foot holistic day-spa with sunlit treatment suites, a Couples’ Suite for dual treatments, and certified-organic products that are biodegradable and exclusively grown on Jurlique’s private farms in South Australia’s pristine Adelaide Hills. The property is pet-friendly, has a 24-hour Fitness Center, 15,000 square-feet of events and meeting space, and offers a complete Business Center with complimentary WiFi in all rooms and common areas. The Mayfair Hotel Miami is celebrating its 30th anniversary along with Miami Vice, which filmed at the hotel, featuring yearlong promotions and special events to be announced throughout 2014. The Half Moon Bay Coastside, a beautiful coastal region approximately 40 minutes South of San Francisco, comes together to celebrate the month of love with romantic getaway packages, kayaking adventures and an opportunity to create a glass blown heart to commemorate the weekend. The Half Moon Bay Coastside has long been considered one of the most romantic places in the world so what better place than to celebrate Valentine’s Weekend? The Half Moon Bay Coastside, a beautiful coastal region approximately 40 minutes South of San Francisco, comes together to celebrate the month of love with romantic getaway packages, kayaking adventures and an opportunity to create a glass blown heart to commemorate the weekend. Below is a sampling of the Valentine’s Day merriment along the Half Moon Bay Coastside. Visit www.visithalfmoonbay.org for everything needed to plan a visit including information on cozy inns and luxury coastal resorts, renowned restaurants, farm visits, golfing, wine tasting, fishing, whale watching, surfing and much more. See Half Moon Bay from an entirely new vantage point with a romantic airplane tour. Take in the aerial views of the dramatic Pacific coastline or fly up to see the Golden Gate Bridge in this once in a lifetime experience. The U-Fly Adventure SkyTour puts guests in the pilot seat and lets “U-Fly” the airplane for 95% of the flight. The professional pilots will take care of the takeoff and landing while ensuring that their co-pilots have a fun and safe experience. Each flight can accommodate up to two passengers. Flights depart from the Half Moon Bay and San Carlos Airports. Check website for pricing and to book your next flight. (650) 804-0665, www.flybayarea.com. During the month of February, why not create your very own hand blown glass heart for the one you love? During one of Half Moon Bay Art Glass classes, students learn the art of glass blowing by creating a one-of-a-kind glass heart. Following the class, wander next door to neighboring La Nebbia Winery for some wine tasting. Class is $60 per student and hearts are available the next day for pickup or can be shipped for a small fee. Half Moon Bay Art Glass at La Nebbia Winery, 12341 San Mateo Road on Hwy 92, (650) 283-5626, www.hmbartglass.com. For a romantic adventure, hit the high seas to witness the annual migration of the gray whales. Through the months of February and March, approximately 15,000 gray whales swim south from the icy waters of the Arctic to mate and nurse their young in the warm, shallow lagoons along Magdalena Bay in Baja, California. Gray whales move at a steady speed of about five miles per hour, and most can be spotted in an area that extends from the kelp beds (about 3/4 miles from the shoreline) out to the horizon. There may be nothing more romantic than paddling through the gorgeous Pillar Point Harbor on a tandem kayak with the one you love. Discover the world of sea kayaking in a dynamic and diverse environment. Paddle amongst seals, birds, and other marine life in protected Pillar Point Harbor or for the more adventurous couple, head into the wild blue waters of the Pacific Ocean. Guests can choose from single, double, and triple kayaks. Half Moon Bay Kayak, 2 Johnson Pier, (650) 773-6101, www.hmbkayak.com. Known for their award-winning, handcrafted beer and sustainable coastal cuisine, Half Moon Bay Brewing Company is planning a special Beer & Dessert Pairing Menu for Valentine’s Day that is sure to light the fires of romance! In addition to a delicious selection of Oysters Rockefeller and flat iron steak with blue cheese, dessert lovers can indulge in items such as “beeramisu” and a Mavericks Chocolate Porter Ice Cream Sandwich with chocolate ganache and beer vanilla sauce, both paired with special housemade brews. Available from February 7-17. On Valentine’s Day children under 12 dine for free from the healthy kids menu with the purchase of an adult entrée. 390 Capistrano Rd., (650) 728-2739, www.hmbbrewingco.com. Media Contact: Caitlin Sandberg (530) 400-9207, caitlin@ellipsespr.com. Known for their contemporary Peruvian cuisine and breathtaking views of the Pacific, La Costanera is celebrating Valentine’s Day in culinary style by offering a special prix fixe menu with some of Chef Altamirano’s special dishes such as lobster bisque, tuna tartare and Scallops Carlitos, along with eight delicious entrees ranging from pan roasted swordfish to grass fed Creekstone Black Angus New York steak. The Valentine’s Day dinner is $85 per person. 8150 Cabrillo Hwy, Montara Beach, (650) 728-1600, www.lacostanerarestaurant.com. Spend Valentine’s Day at Navio savoring a taste of the sea at its most authentic while basking in the aromas from the smoky, wood-fire oven. Romance seekers will enjoy their choice of a five-course Champagne Dinner or a Valentine’s Brunch. Valentine’s Champagne Dinner- Experience a five-course dinner with offerings such as beet cured salmon, house made ricotta ravioli, beef tenderloin or olive oil poached mero bass. End the evening with a citrus passion dessert and a chocolate gift box for each couple. Dinner is offered February 14- 16 from 5 to 9 p.m. The dinner is $165 per person with wine pairing; $125 per person without wine pairing. Valentine’s Brunch- Enjoy brunch at Navio on February 15 or 16. A chocolate lover’s dessert room will enhance the award winning brunch. Valentine’s Brunch is $98 per person and seatings are available at 11 a.m. and 1:30 p.m.
Reservations are required for all Valentine’s weekend dining events and can be made by calling 650-712-7000. 1 Miramontes Point Road, (650) 712-7000, www.ritzcarlton.com/hmb. Media Contact: Deanne French, (949) 240-5088, Deanne.French@ritzcarlton.com. A Valentine Jazz and Romance Dinner awaits guests during an unforgettable evening which includes a four-course prix fix menu with selections such as seafood platters, pumpkin and roasted chestnut ravioli, surf and turf (beef tenderloin and main lobster), along with wine pairings and a gift box of chocolate truffles to share (one per couple). Live jazz music will entertain guests throughout the evening. Dinner is priced at $280 per couple and is offered Friday, February 14 with seatings available at 6 and 8:30 p.m. Reservations are required and can be made by calling 650-712-7000. 1 Miramontes Point Road, (650) 712-7000, www.ritzcarlton.com/hmb. Media Contact: Deanne French, (949) 240-5088, Deanne.French@ritzcarlton.com. Known for fresh, off-the-boat seafood and stunning views of the Pacific, Sam’s is featuring their first Wine Lover’s Lobster Clambake Night on February 12 with complimentary wine tasting by Franciscan Estate Winery. On Valentine’s Day, indulge in culinary specials such as lobster bisque and ?. Cap off the evening with palate pleasing chocolate “Blackout” cake with raspberry mousse or a chocolate ganache. 4210 North Cabrillo Highway, (650) 712-0245, www.samschowderhouse.com. Media Contact: Julie Shenkman, (650) 726-1005, julie@julieshenkman.com. Famous for their stunning ocean view dining and great local seafood, Moss Beach Distillery will offer a three-course prix fixe Valentine’s menu featuring Filet Mignon, Pesto Stuffed Salmon, Roasted Vegetable Lasagna, Chicken Marsala and Linguini Di Mare. Before or after dinner, cozy up under a blanket on the outside patio while gazing at the ocean. Price is $75 per person and includes a special gift for the ladies. 140 Beach Way, Moss Beach, (650) 728-5595, www.mossbeachdistillery.com. Known for their breathtaking vistas and soft ocean breezes, The Ritz-Carlton, Half Moon Bay provides an intimate setting for couples to enjoy a Valentine’s celebration. Experience S’more Romance – Guests are invited to rekindle romance and passion at the Northern California coastal resort with the “S’more Romance Package” that includes accommodations in a Terrace Fire Pit guest room, a $200 daily spa credit, a s’mores kit for two to enjoy by the fire, full daily breakfast for two in Navio or in-room dining and the resort fee. For added pampering, couples can enjoy a Romance Bath. Glowing candlelight and soft music set the stage for a luxurious bath filled with bubbles, infused with alluring essential oils, and topped with fresh rose petals. Luscious shea butter moisturizer and hand-made soap complete the experience. S’More Romance Package starts at $1,115 and the Romance Bath is $75. Romance in The Spa – Ideal for couples, the “Romancing the Stone” massage treatment includes the resort’s signature couples massage with the use of hot stones for warmth and to help melt away tension. 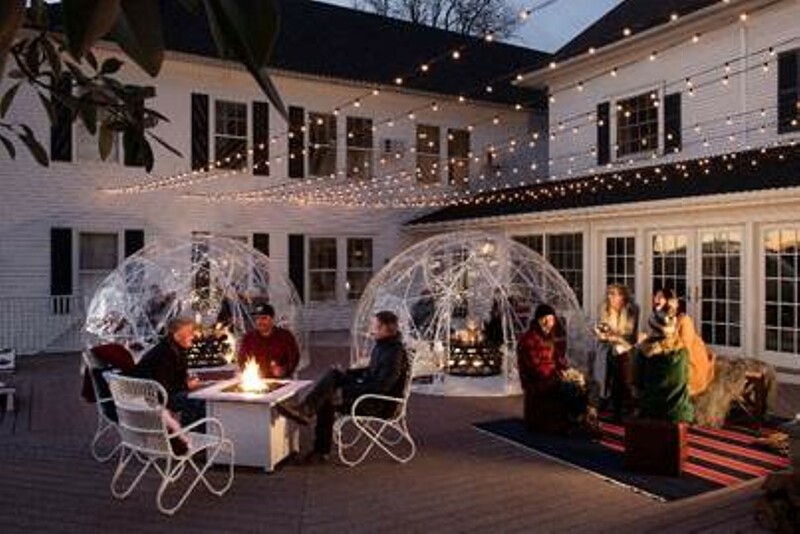 Following the treatment, couples will enjoy a glass of champagne or sparkling cider. Romancing the Stone is available for 60 or 90 minutes and starts at $415 per couple. One Miramontes Point Road, (650) 712-7040; www.ritzcarlton.com/hmb. Media Contact: Deanne French, (949) 240-5088, Deanne.French@ritzcarlton.com. Seal Cove Inn, a serene hideaway set amongst a meadow of wildflowers and bordered by cypress trees, has partnered with It’s Italia Restaurant to celebrate the month of love. The “It’s Amore Package” includes a one night stay at Seal Cove Inn, a bottle of bubbly at check-in and dinner at It’s Italia ($100 value). For true romance and relaxation, be sure to take advantage of an in-room massage for an additional $120 per person. Subject to availability from February 1 – 28. Packages starting at $350. Must call the Inn directly for reservations. 221 Cypress Avenue, Moss Beach, (800) 995-9987, www.sealcoveinn.com. With a spectacular location overlooking picturesque Pillar Point Harbor, this luxurious seaside locale is the perfect place to celebrate Valentine’s Day with the one you love! Guests can enjoy the serene coastside from their private balcony with a bottle of wine and a box of chocolates. Head to dinner with a $75 voucher for a local restaurant (Miramar, Moss Beach or Flavor) and the following morning indulge in breakfast for two in the lounge or delivered in-room. 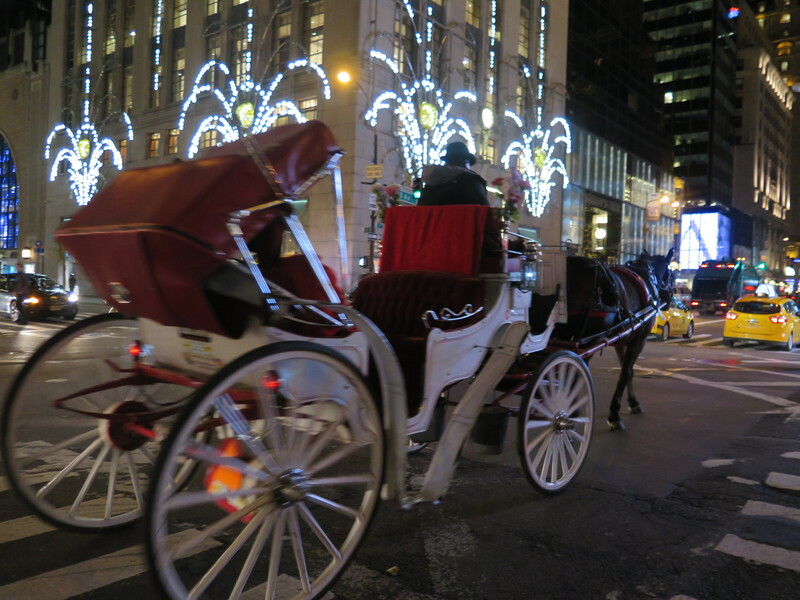 Packages are available for one or two nights and start at $415. 280 Capistrano Road, (650) 726-5400, www.oceanohalfmoonbay.com. Goose & Turrets Bed & Breakfast in historic Montara is planning a special Valentine’s breakfast of champagne and souffles. Guests spending the night on February 13 or 14 will enjoy this romantic breakfast at no extra charge. In addition, owners Raymond and Emily Hoche-Mong will add some romantic French touches that they learned during their three-month stay in Chinon, France. Packages start at $175 plus tax. 835 George Street, Montara, (650) 728-5451, www.gooseandturretsbandb.com. The Half Moon Bay Coastside is a charming seaside respite located approximately 35 minutes south of San Francisco. Nestled between the Santa Cruz Mountains and the Pacific Ocean, this breathtaking region consists of four distinct areas – the North Coast, Half Moon Bay, the South Coast and the Redwood Region. 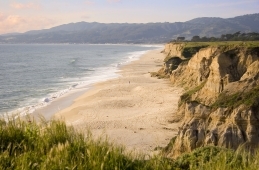 Featuring the best of Northern California all in one place, visitors will enjoy miles of white sandy beaches, redwood forests, a historic downtown filled with local artisan shops, beautiful state parks, fields of wild flowers, and trails along ocean bluffs and mountain ridges as far as the eye can see. A sampling of activities includes horseback riding on the beach, farm fresh dining, shopping, biking, hiking and world-class golfing and surfing.